Want a green stroll? 6 minutes walk from the hotel Alixia, you will find a bubble of oxygen conducive to strolling. 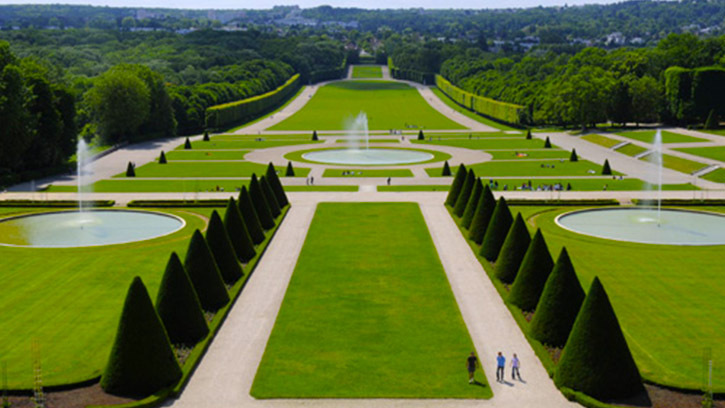 Became famous in 1670, the Parc de Sceaux is one of the most beautiful of the Hauts-de-Seine. Designed by André Le Nôtre, it offers a double perspective, one in the axis of the castle, and the other, on the basin of the Octagon. You will find splendid spaces of excursion and picnic, the plays of water and a sporting way. Created in 1937 in the heart of the domain, the museum of the departmental domain of Sceaux is accessible to the walkers in the most beautiful buildings including the castle, the Orangerie, the Pavilion of the Dawn and the Small Castle. Ideally located just a 3-minute walk from the Alixia Hotel and equidistant from the RER B station in Bourg-la-Reine, the Espace des Colonnes offers modern and functional rooms for your professional events. This location allows you to organize seminars, press conferences, trainings, product launches or exhibitions. 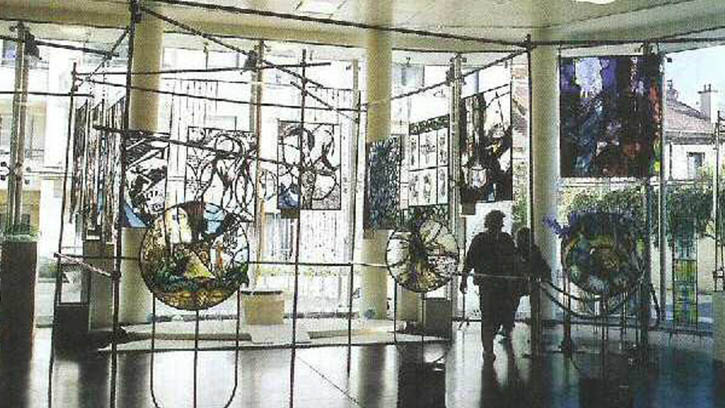 You will find a room of 645 m² modulable with movable partitions and decorated with a bar. You will also enjoy a fully equipped kitchen to allow your caterer to organize a cocktail or a meal. Located south of Paris, the city of Bourg-la-Reine offers all the advantages of the capital while enjoying a peaceful environment. Our hotel is just a 3-minute walk from the RER B station in Bourg-la-Reine which allows you to reach the center of Paris in 20 minutes, Orly airport in 30 minutes via public transport and only 15 minutes by taxi. If you arrive by train via the station of Massy TGV, only a few stations separate you from Bourg-la-Reine. 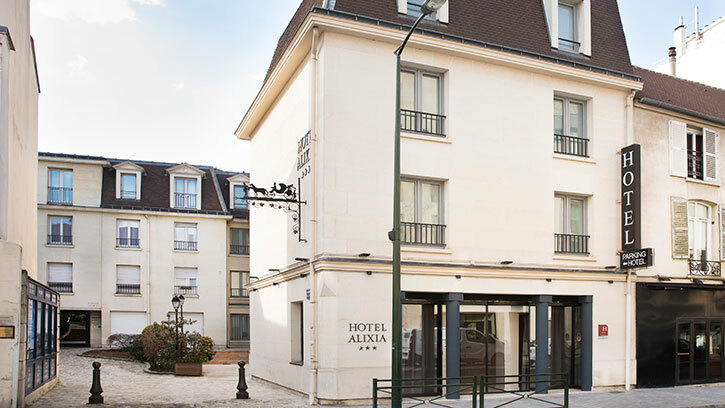 Staying at Hotel Alixia, you are at the gates of Paris (4 Km from the Porte d’Orleans by the N20) and a stone’s throw from Orly airport. You wish to enjoy your stay in Paris to make a shopping spree? 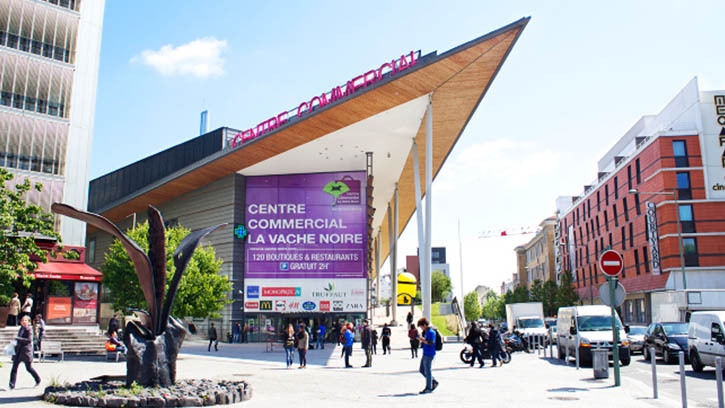 This is great, Hotel Alixia is 6 minutes by RER B from the shopping center La Vache Noire d’Arcueil. You will find all your favorite brands in the fields of fashion, home and leisure. Once you have finished shopping, you can have a gourmet break in one of the restaurants of La Vache Noire or a bucolic break in the garden on the roof! A place Zen and green, far from the tumult of the streets of Paris.